Are you spending too much on groceries? Would you like to;maximize;your current budget so that you can afford more wholesome, nutritious foods for your family? Real Food on a Real Budget is written as a primer for families who want to learn how to save an average of 20-30% on their food budget ($100-$200 per month for most families), while at the same time serving better quality and more nutritionally dense foods. 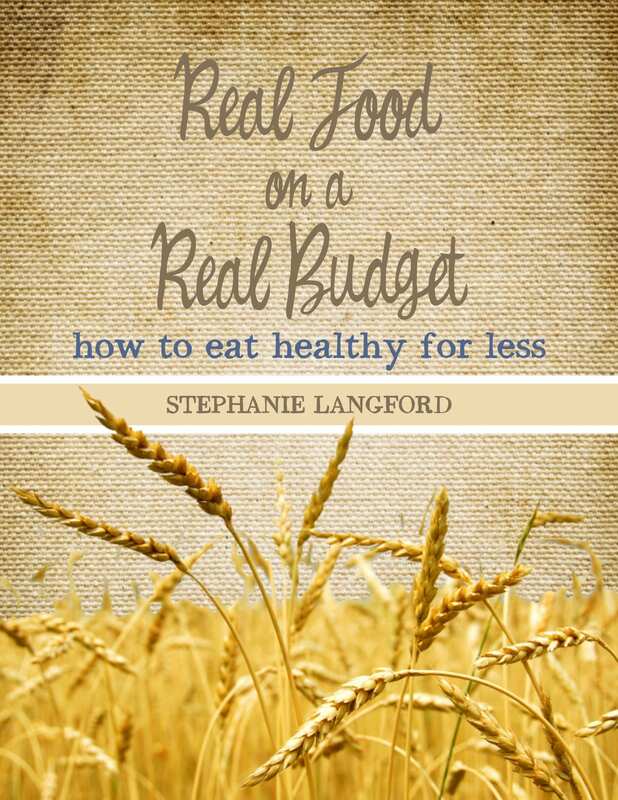 Based on 6 years of hands-on experience and hundreds of hours of research, Real Food on a Real Budget is packed with practical tips and suggestions to help you become a better a steward of both your finances and your health. How to shave literally hundreds and potentially even thousands off of your grocery expenses every year, without compromising on what you buy! How to establish a realistic food budget for your unique family, and actually stick to it. How to provide better nutrition and cost effectiveness through a meal planning method that suits you best. How to find places to buy whole and traditional foods wherever you live and compare prices so that you know you’re getting the absolute best deals. Why, what and how to buy in bulk and what to do with all that food! Which foods are both nutrient-dense, cost-effective, and how to work your diet around them. Why cooking from scratch is key to eating real foods, how to find the time to do it, and how to use that time as effectively as possible. Why you should purchase your foods seasonally and locally, preserve them for cheaper year-round eats, and even grow them yourself. How to evaluate whether couponing can work for you and help to stretch your budget just a little bit further. Countless tips for practicing frugality in your kitchen. Want to take an even closer look at the book? 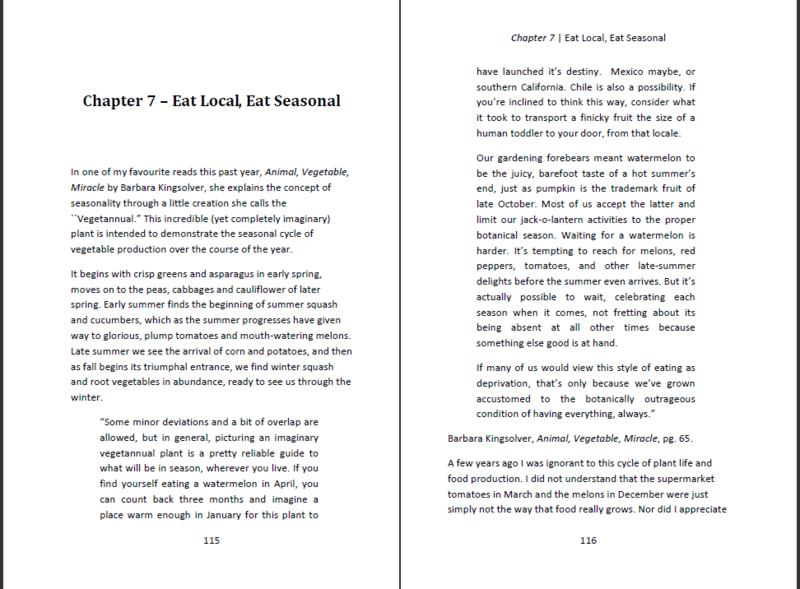 Download this PDF file to read a preview copy from the Introduction chapter. You can purchase your copy of Real Food on a Real Budget and work towards getting that grocery budget under control starting today! I’m as frugal as you are, and am very proactive about getting my money’s worth on everything I buy. Because you’re here, I know that you are the same way. 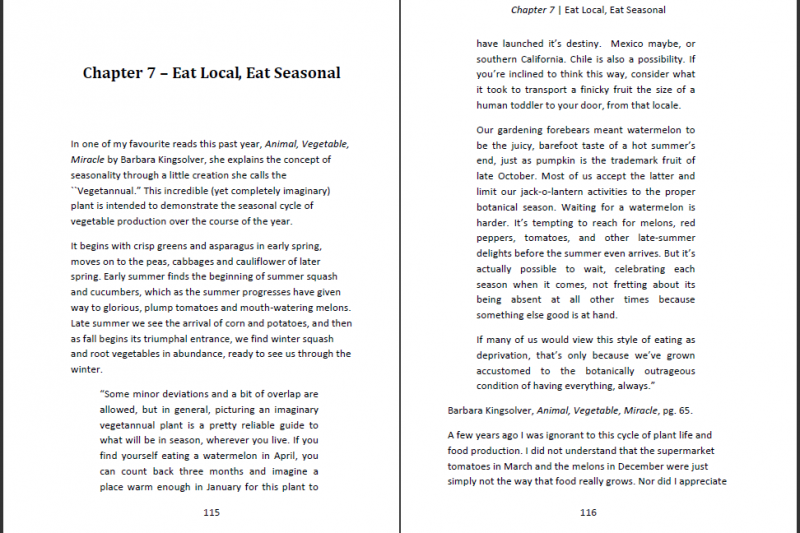 Real Food on a Real Budget is a compilation of years of practical study, took almost a full year to write, and is jam-packed with ideas on how to save money and eat better. By utilizing even just a handful of the recommendations I have no doubt that you will be able to save hundreds of dollars over the course of a year, or even in just a month or two (if you’re as gung-ho as I am), without having to compromise on foods that won’t nourish you or your family. That said – if for any reason you’re not happy with your purchase, all you have to do is return the book and email me for a full refund, no questions asked.